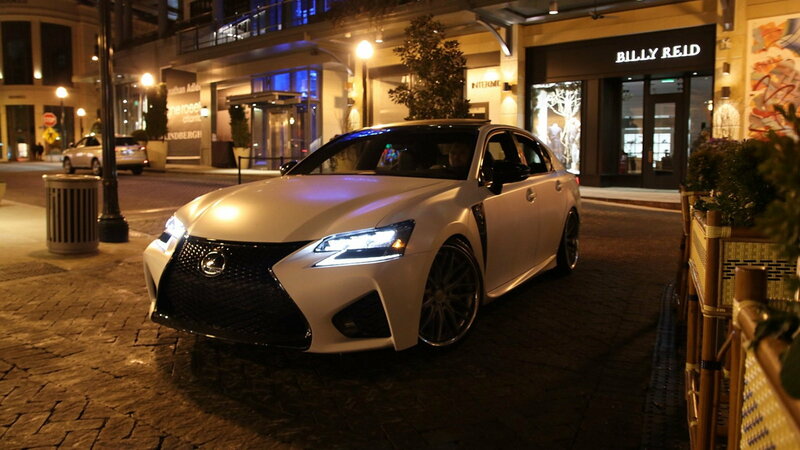 Daily Slideshow: This stunning Lexus GS F is an exercise in subtle excellence. 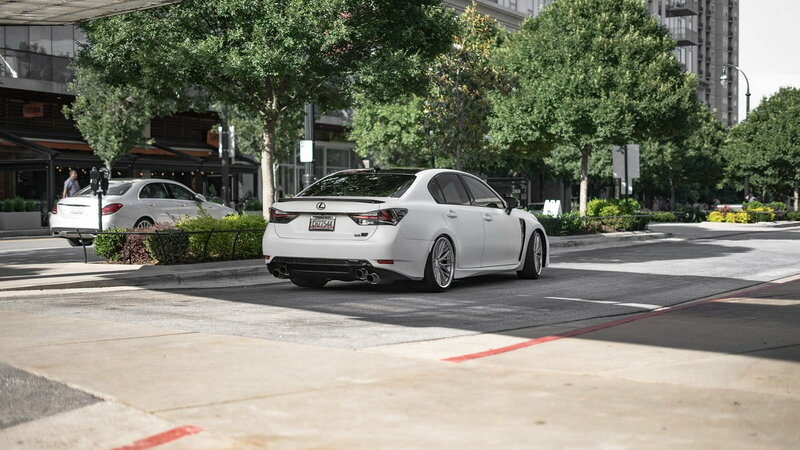 The Club Lexus forums are, if nothing else, a source of constant inspiration. We're never disappointed by the many beautiful modded rides our members show off. 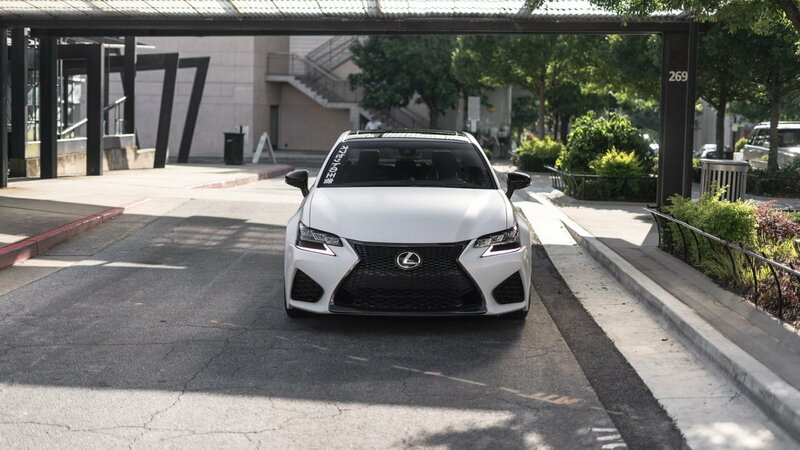 And as AyoDeej's beautiful Lexus GS F proves, it doesn't even take much to truly transform these cars into something very special. 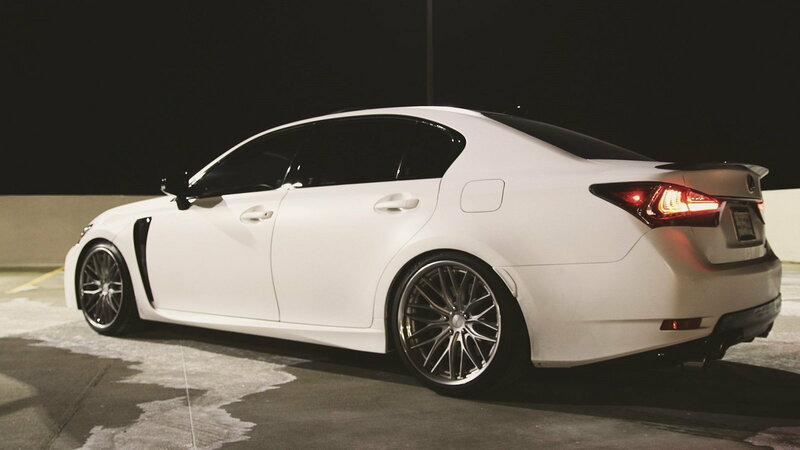 One of the biggest visual impacts AyoDeej made to his ride is also one of the simplest - a matte white vinyl wrap. And honestly, when was the last time you saw something like this? It truly transforms the look of this car without going over the top, as many wrap jobs do. 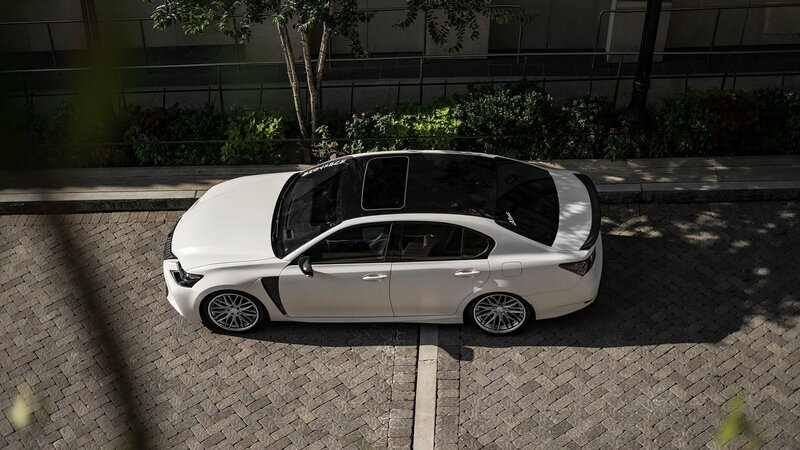 >>Join in the conversation on AyoDeej's GS F right here in ClubLexus. It's the kind of thing that makes you look twice. At first glance, you might not even notice the matte finish. 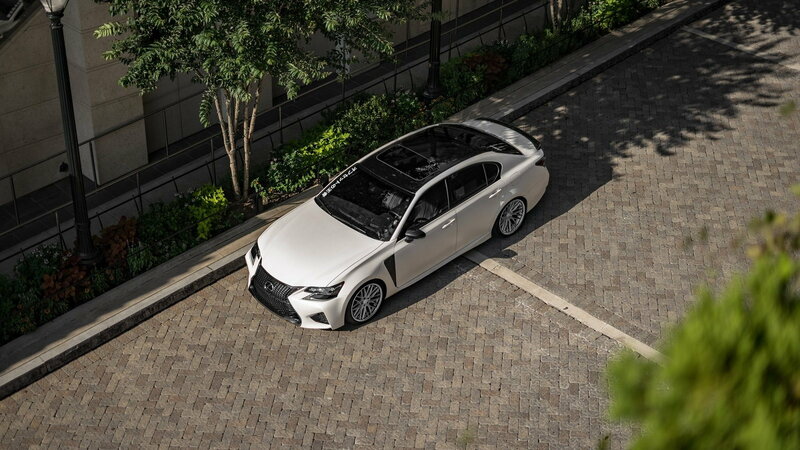 But when the sun's out, it's pretty clear that this is no ordinary white Lexus. The next subtle yet effective visual touch came in the form of a set of Vossen VWS-2 wheels. These are some seriously attractive pieces, yet not so wild or massive that they detract from the overall look of the car. 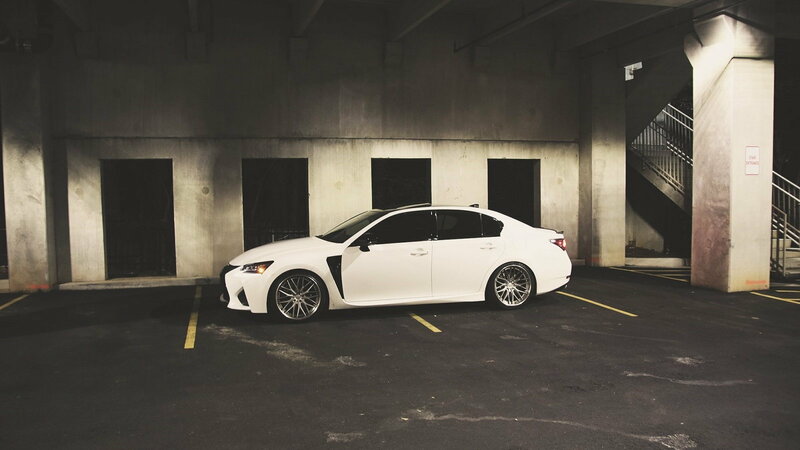 To get this big white Lexus sedan hunkered down over those attractive new wheels, AyoDeej installed a set of RSR coilovers. 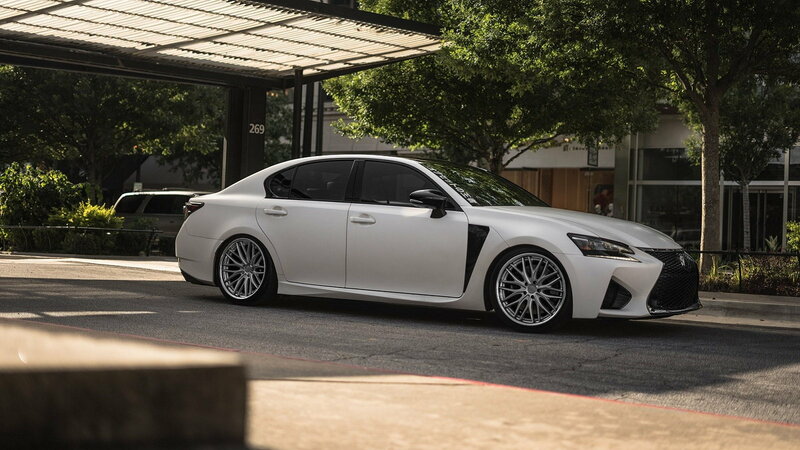 Now, this GS F's stance is absolutely perfect, with zero ugly wheel gap. AyoDeej also resisted the urge to turn this GS F into a complete white out, retaining a black roof, side scoops, and front grille. It all adds up to a very nice contrast that stands out from your average, boring, one-color ride. But this build isn't all about looks, either. AyoDeej has also added an Apexi exhaust to amplify the sound from that naturally-aspirated V8, and we're guessing it emits some seriously delicious noises now. Coupled with an Apexi intake, it probably sounds even better. Not to mention the few extra horsepower that this combo manages to extract from the 5.0-liter. And hey, what's wrong with adding a few ponies here and there? Clean, simple, and very effective. All of these words describe this build, which is truly more than the sum of its parts. 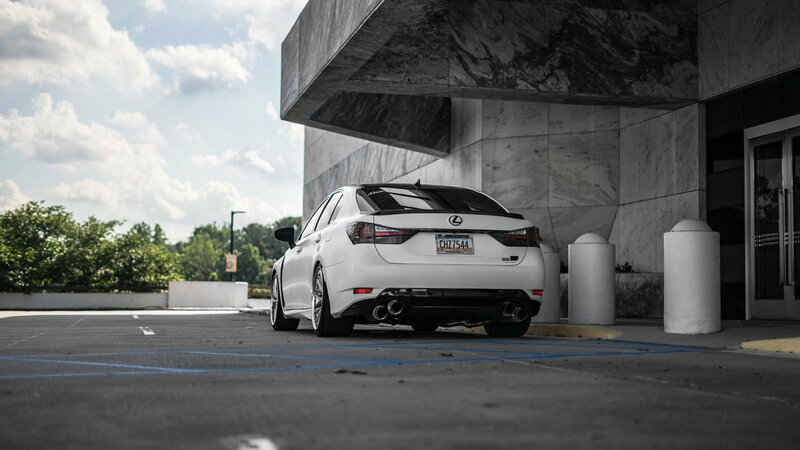 This Lexus GS F is just further proof that our members have some of the best-looking Lexus vehicles you'll ever see. And it's also proof that you don't have to go hog wild with mods to build something truly unique! Check out the how-to sections of ClubLexus.com for help keeping your car in great shape.